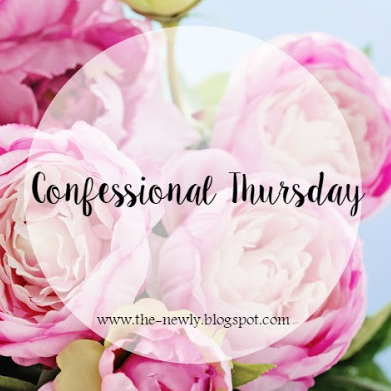 Today I'm linking up with Jessica for Confessional Thursday, which means it's about to get real up in here. My confessions today are all about my mothering skills, or lack there of...*wink*! B. get out of/turn off shower and scroll through Facebook and/or Instagram as quietly as possible as I sit on my kids' itty bitty stepping stool and dry off. ...real pants are a joke. My choice of apparel is strictly based on the decision the Hubs and I made to have created tiny little humans while I take on the SAHM role. 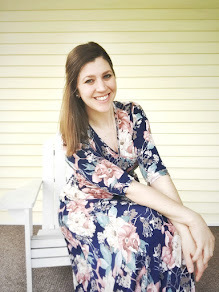 This in turn allows me to jump, dance and play with the kiddos, which makes me a pretty cool mom, just not the best-dressed. My clothes need help, but I'm sooooo unwilling to change. I'm a hot mess. A real hot mess. ...I have an "at home voice" and a "in public voice." No worries. My kids are safe and I love them more than anything. I like to refer to these two voices as Mary Poppins and "Mommy" Poppins! LOL! Whew! Once again, I feel so much better. Okay, I'm off to go hug, kiss and coddle those babies of mine! We should be friends! LOL!